I decided to read this book because it was recommended by Colleen Hoover, and she´s my ultimate favorite author alongside with Nora Roberts. And I must say I wasn´t surprise that this book was one of the best books I read, since it was recommended by her. Liv Arias was one of the survivors of a school shooting, and they was labeled as the ones who got away. When she goes back to her hometown because of a documentary being filmed about the shooting, she is forced to deal with all the feelings and pain she left behind all those years ago. Slowly she learns that she´s not the only one who has trouble dealing with it. I loved how Liv and her friends learnt how to support each other, even through their different perceptions of how life should be. And how Liv´s friendship with Rebecca never turned into a catfight. Liv and Finn´s romance was always meant to be, and their chemistry its off the charts. 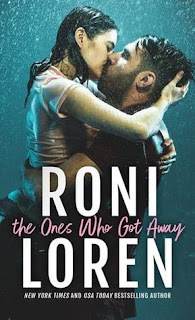 Roni Loren´s books it´s now in my to read list. I hope they´re all as good as this one, so she can turn into a favorite author as well. Eu decidi ler este livro porque foi recomendado por Colleen Hoover, e ela é minha melhor autora favorita bem ao lado de Nora Roberts. E devo dizer que não me surpreendeu que este livro fosse um dos melhores livros que li, já que foi recomendado por ela. Liv Arias é uma das sobreviventes de um tiroteio na escola em que estudava, os sobreviventes foram rotulados como aqueles que sobreviveram. Quando Liv volta para sua cidade natal por causa de um documentário que está sendo filmado sobre o tiroteio, ela é forçada a lidar com todos os sentimentos e dor que ela havia deixado para trás por todos esses anos. Lentamente, ela descobre que ela não é a única que tem problemas para lidar com isso. Adorei como Liv e suas amigas aprenderam a se apoiar mutuamente, mesmo através de suas diferentes percepções de como a vida deveria ser. E como a amizade de Liv com Rebecca nunca se transformou em uma briguinha boba pelo amor do Finn. O romance de Liv e Finn é um desses destinados a acontecer, e a química entre eles é de molhar a calcinha. Os livros de Roni Loren estão agora na minha lista de leitura. Espero que eles sejam tão bons quanto este, para que ela possa se tornar uma autora favorita.